Beautiful and traditional! 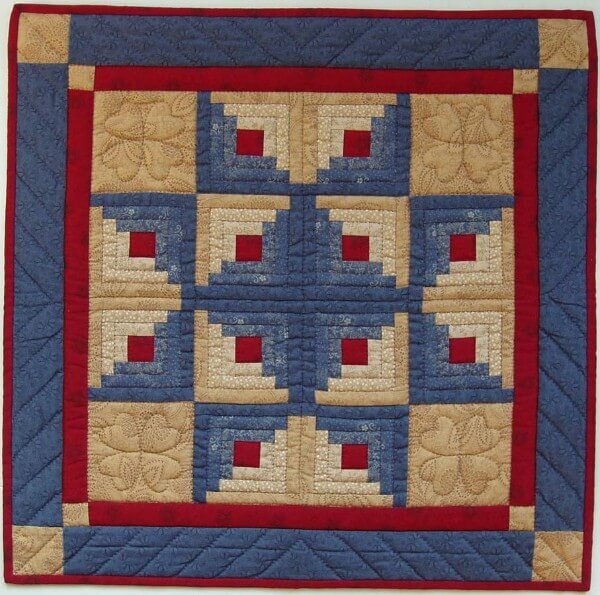 This charming wall quilt brings together �Log Cabin� and �Star� patches, two favorite themes of quiltmakers through the years. Quilted hearts fill the plain blocks surrounding the star. Finished size is 22" x 22". Colors are colonial blue, red, and sand.